Getting law firms to work with your recruiting firm requires you to clearly communicate the value you’re delivering. 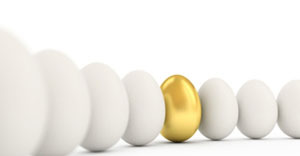 Your UVP must be clear and show the benefits you offer, and what distinguishes you from other recruiting firms. Here are a few tips for communicating your unique value proposition to potential clients. Craft the right message. Before you can attract the right kind of law firms to your recruiting business, you must craft a branding message that will appeal to them. Think about the kind of law firms you want to recruit for then think about what it is most important to them and what they’re looking for in a recruiter. Once you’ve gathered the important data about your target customer create a message that will help them understand the value you’re bring to the table. State the problem. Experienced legal recruiters can solve a lot of hiring problems for law firms. But not all law firms understand what those problems are or how legal recruiters are uniquely positioned to help. It’s up to you to understand the hiring problems that law firms face and how your recruiting business is uniquely positioned to solve those problems in a way that is faster, more effective, and less expensive than your competitors. Provide evidence. Using case studies, client testimonials, and reviews, prove to potential clients that you’ve helped others like them in the past. Proving that you can deliver the value they want will help you leap ahead of the competition as you vie for an opportunity to recruit for the best law firms in the industry. Recruiters who can effectively communicate their unique value propositions will discover that it’s easier to find law firms who want to work with them. 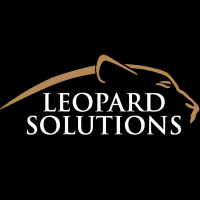 Subscribe to the Leopard Blog for discussions on business solutions, diversity, law firm insights, and other relevant topics. Thursday Thoughts: Are You Overly-Responsible?